The AAi education and training program caters for academics and industry professionals seeking to expand their analytics expertise. 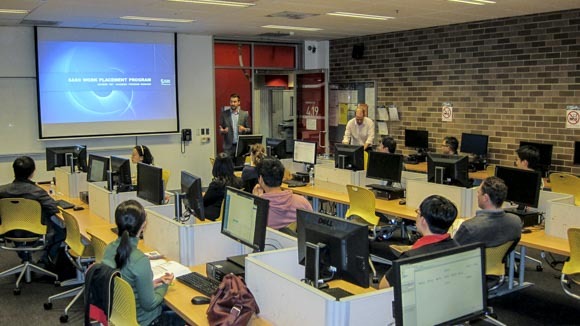 We deliver a wide range of subjects, seminars, workshops and customised corporate courses across the breadth of analytics education. Each course consists of core and selective subjects based on theoretical and real-world analytics issues. Courses content can be adjusted to meet participant needs. If you're interested in a short course, please get in touch. For more information on masters and PhD qualifications through AAi, please read our information for students. © Copyright UTS - CRICOS Provider No: 00099F - 21 September 2018 04:46 PM. The page is authorised by Deputy Vice-Chancellor and Vice-President (Corporate Services).